Should technology assessment take a stance – when, on what, and how? How to deal with its neutrality paradigm in times of anti-democratic tendencies? DELVENNE, P.; GRUNWALD, A.; NIERLING, L.; TORGERSEN, H. Balancing engagement and neutrality in technology assessment. 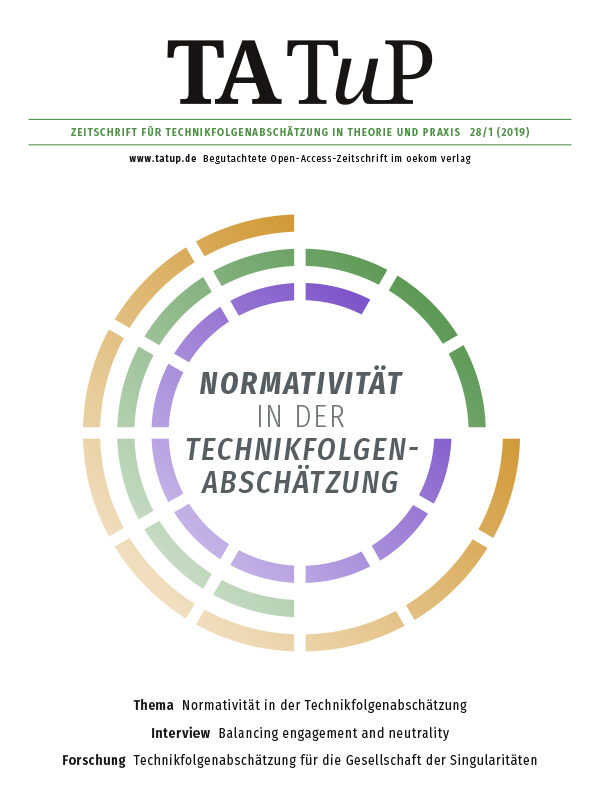 TATuP Zeitschrift für Technikfolgenabschätzung in Theorie und Praxis, v. 28, n. 1, p. 71-74, 3 abr. 2019.